Even though it always turns heads, camo still gets overlooked. It’s high time for a major re-evaluation of this handsomely hued workhorse print, which packs a powerful sartorial punch even in the tiniest doses. Tempering edge with sophistication, it goes a long way as both a foundation or accent piece, managing to be bold without being abrasive. From amped-up jackets to shades, sneakers, and everything in between, here’s how to rock the waviest motif of the season. In the pantheon of outerwear, the bomber jacket is one of the all-time greats. It’s a classic design that ultra-sharp dudes have been rocking for years, but gets fresher and fresher with each successive generation. Its less structured engineering gives a more lived-in feel versus its stiffer counterparts (apologies to the chesterfield and peacoat), with a loose-but-lean cut that easily stretches from summer to fall. 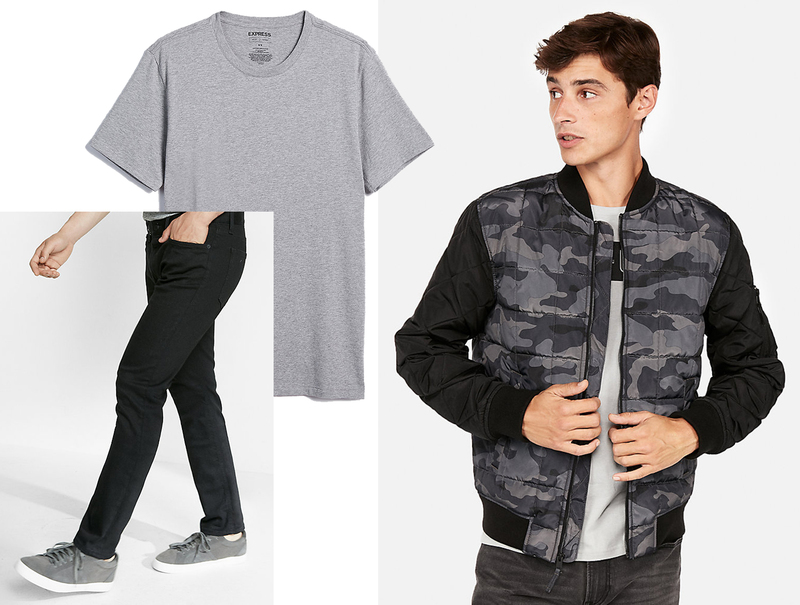 To offset the business of the camo, wear with a subtle, monochromatic crewneck tee and some dark denim. The most underrated aspect of camo is its pairing ability. Its foundational colors—green, brown, and similar tones—go well with just about anything. 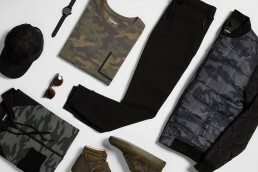 So whereas some might question the wearability of an all-camo tee, it’s actually a garment that you’ll get plenty of mileage out of. In this case, since your upper torso will be super expressive, keep it quieter below with a more brooding model of jeans. Zip-ups are usually cast off as weekend-wear afterthoughts. Luckily, these do-it-all hoodies are becoming more front of mind, catching up to the times with skinnier sleeves and profiles that go hand-in-hand with the relaxing of formal dress. 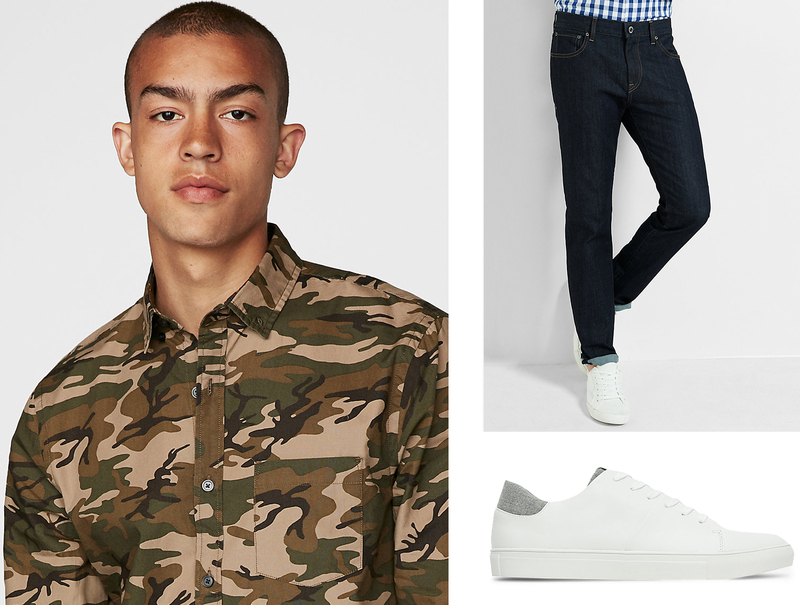 And, by incorporating busier patterns—ahem, camo— they’re stepping up and into the limelight. 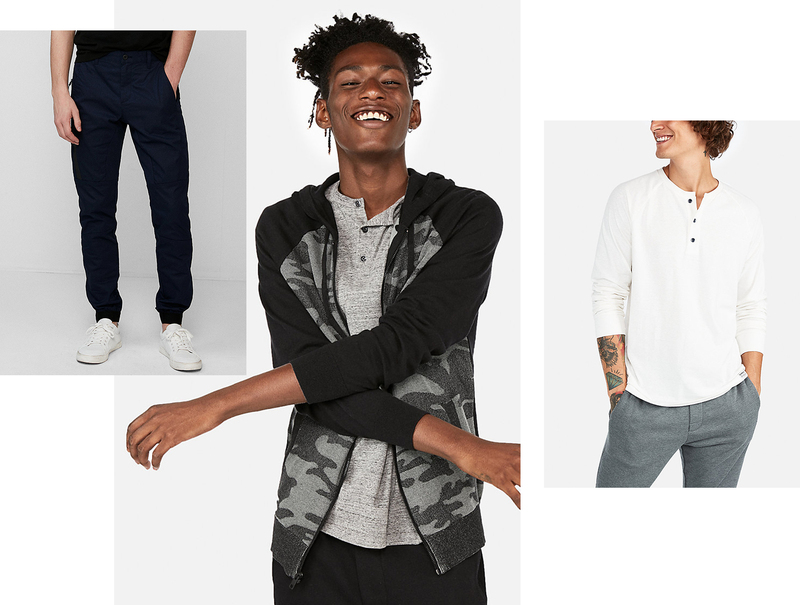 To keep it anything but basic, layer over an equally transition-friendly henley, and, to fully nail the athleisure trend, pull on some sharp, tapered joggers. Tempting though it may be, as you reach for your tried-and-truest sleeves this season, you don’t want to fall into a predictable cycles of whites, blues, repeat. Thankfully, with office style becoming more and more relaxed, you can button up something showier that also works for your pre- and post-work life, too. Balance is paramount, so restrain the look with some low-key bottoms and under-the-radar soles. Most people lump camo at the topiary end of the spectrum. In reality, the strength of the pattern comes from its ability to transcend its earthy aesthetic, with a black-on-black number being a favorite iteration. 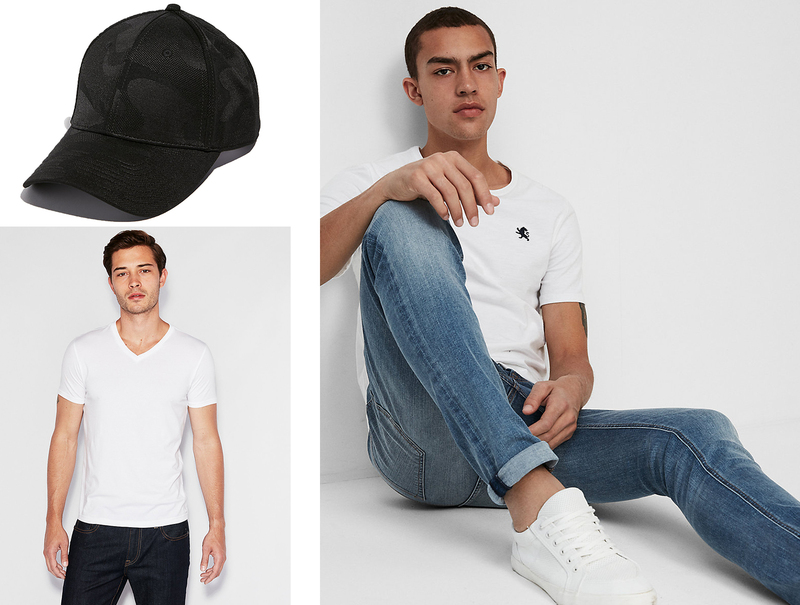 Most of all, we love it all on a ball-cap, because it dresses up a key outerwear accessory that, more often than not, comes across as slouchy. 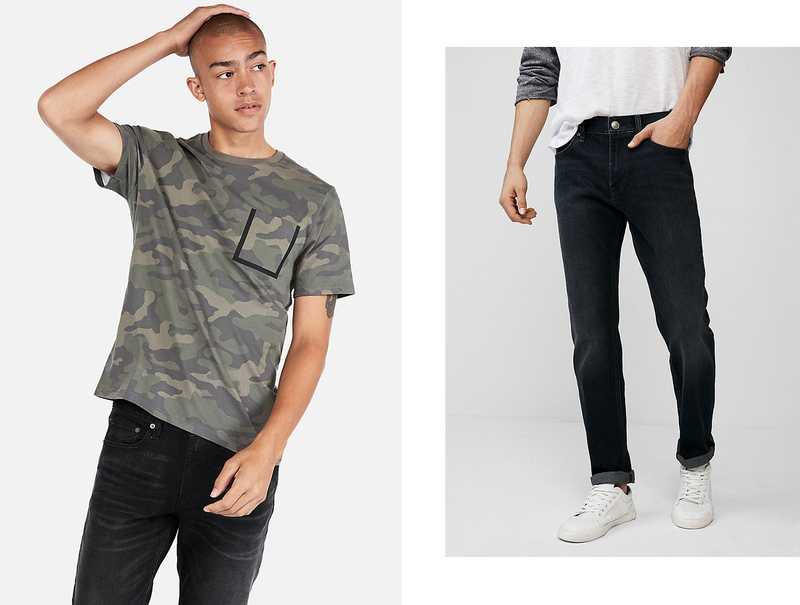 It’s an unexpected style move, but when pulled off with the standbys —like a timeless V-neck and jeans combo—you’ll step up your wardrobe in a major way. Accessories aren’t just about utility. 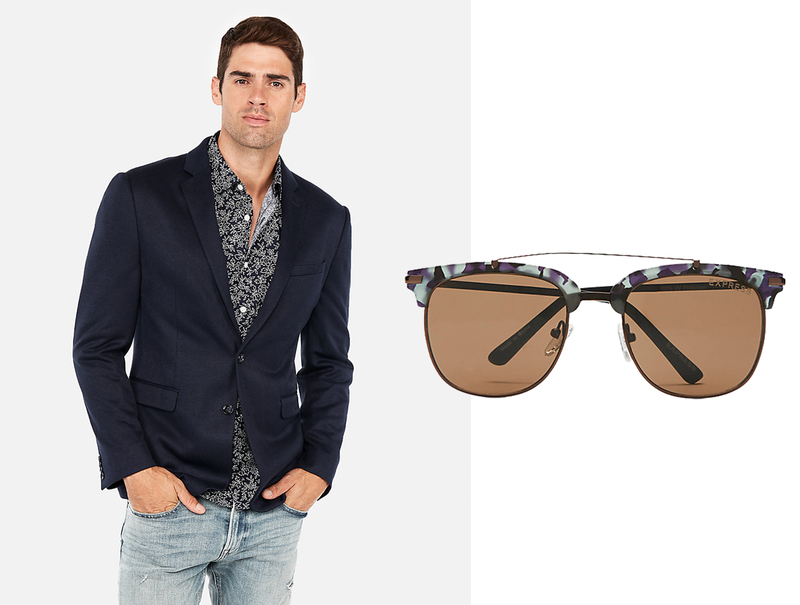 Done correctly, they manage to be the focal point of a fit, without being over-the-top. This is especially so with eyewear, a fickle field that can tend to stay without the same few models. A set of camo shades perfectly zigs where other makes zag, making a huge style statement with incredible efficiency. To execute a true power move, wear with your best blazer to show that you’re a true pupil of swervy style.